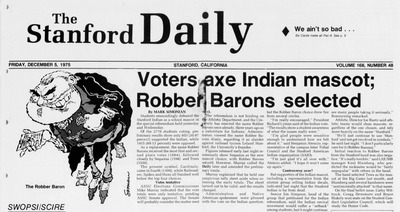 In 1975, Stanford’s student body voted to change the university’s official mascot to the “Robber Barons,” a derisive nod to the university’s founder, Leland Stanford. The administration, it seemed, agreed. But now Stanford needed a new mascot. 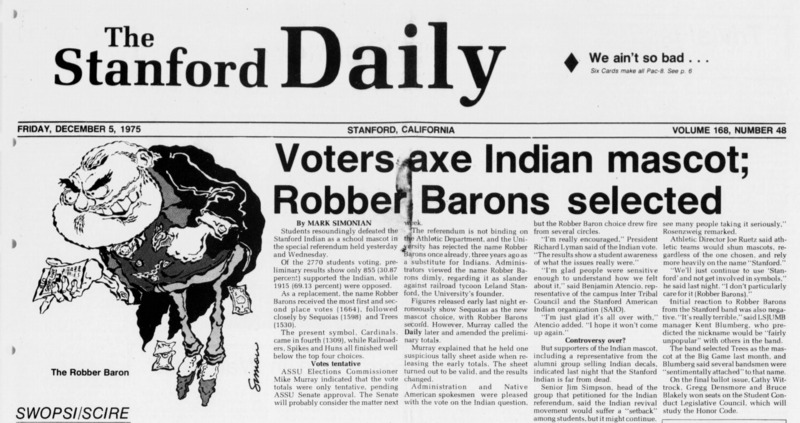 In a special student referendum in 1975, “Robber Barons” secured the most first and second place votes (1,664), beating out Sequoias (1,598), Trees (1,530), and Cardinals (1309). Railroaders, Spikes, and Huns all finished “well below the top four choices,” according to a Stanford Daily article at the time. The administration was not pleased with the choice, and refused to recognise Robber Barons as Stanford’s mascot. In fact, though many people know Stanford for its goofy Redwood tree that dances around at football games, the university still does not have an official mascot to this day. Stanford’s administration was upset because Robber Barons was a not-so-subtle dig at the university’s founding father, Leland Stanford. 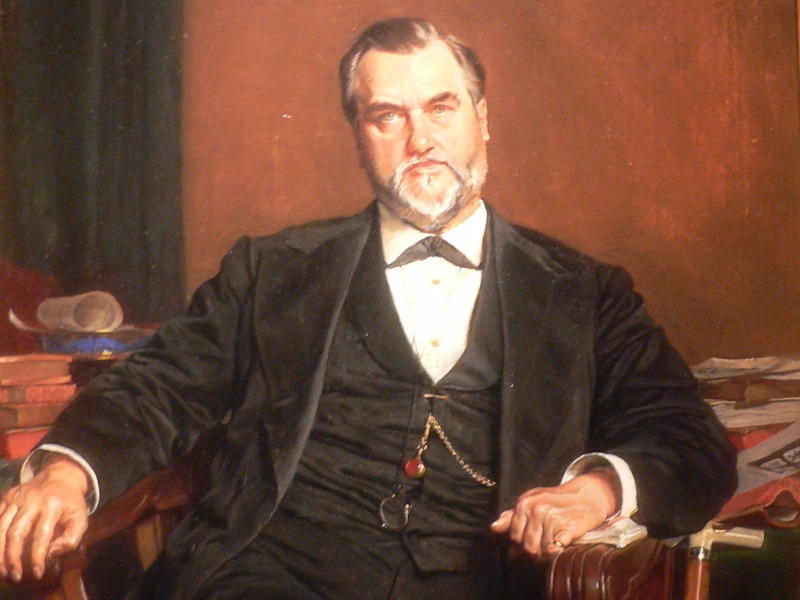 Stanford, who made a fortune from railroads during the mid 1800s, fell under the umbrella of a “Robber Baron,” a negative term for the powerful industrialists of the Gilded Age. The term Robber Baron characterises this group as a bunch of ruthless men who amassed vast fortunes while they trampled over workers’ rights and stabbed competitors in the back. They also did things like found Stanford University, which Leland Stanford did with $20 million in 1891 (about $500 million today). He also served as the governor of California and a US senator. Other Robber Barons included the likes of Cornelius Vanderbilt, Andrew Carnegie, and J.P. Morgan, who also named many institutions after themselves. At the time of the student vote, it was the 70s, it was California, and Stanford students were down to poke a little fun at their own history. Nine years went by after the Indian mascot was removed, and the administration hadn’t approved a new mascot. declared, “Cardinal Triumphs O’er Blue and Gold [Cal]” after a football game (the first Big Game, in fact). But let us not forget that brief moment in the 70s when Stanford had a sense of humour about how its founding fortune was made — before that sentiment was squashed.